RECEIVE DFW HOMES FOR SALE WITH LISTING PRICE/STATUS CHANGE ALERTS, 1st DAY ON MARKET! When it comes to convenience, our DFW real estate site is unparalleled. Whether you're in the comfort of your home, or on the go, our site works flawlessly on multiple devices so you can search homes with ease. Receive listing updates on properties that match your search criteria, 1st day on market! UNLOCK Cumulative Days On Market, HOA Home & Condo Association Dues, Listing Price & Status Change Dates and more not found on most other sites! By combining modern technology with local expertise, our DFW Realtors are able to deliver an unmatched level of customer service! FREE COPY OF DESTINATION DFW GUIDE! Are you considering relocating to a Dallas-Fort Worth, TX Neighborhood, Urban District or Walkable Village? 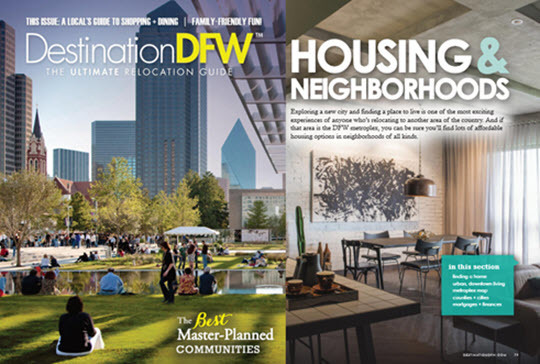 Order a FREE copy of Destination DFW that includes everything you need to know about the top neighborhoods in Dallas, Fort Worth and surrounding communities in North Texas! Search the Best DFW Master Planned Communities, Top Rated School Districts, Top 25 Rated Employers and view Housing, Neighborhood, Entertainment District Information on Cities Located in Dallas, Collin, Denton, Rockwall, Tarrant and Ellis County. Dallas Fort Worth, TX is home to some of the best golf courses in the world and many of the top Golf Course real estate communities in the U.S. Golf Course communities in North Texas can be found in master planned communities throughout Dallas, Denton, Collin, Tarrant and Rockwall counties. Some of the Top Golf Course communities in Dallas include Gleneagle, Stonebriar, Twin Creek Estates, Bent Tree, Brookhollow, Bridlewood, Reserve at Sugar Tree, Chas Oaks, Canyon Creek and Coyote Ridge. 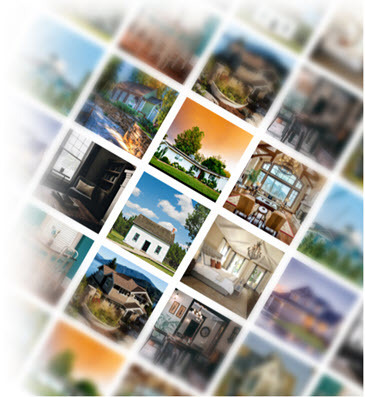 Listing information last updated on April 26th, 2019 at 10:30am CDT.